This exceptional detached family home offers a splendid residential setting occupying an exclusive position in this favoured address with private frontage and 4/5 car driveway, a large landscaped private rear garden with full width patio and sun terrace overlooking Primary School playing fields, together with impressive garage. The interior has been excellently extended to provide a very versatile range of family accommodation featuring spacious reception hall, guest cloakroom, large dining room, lounge with French doors to an impressive conservatory, open plan family room/breakfast room with square arch to high spec. Kitchen and a fully fitted laundry/utility. 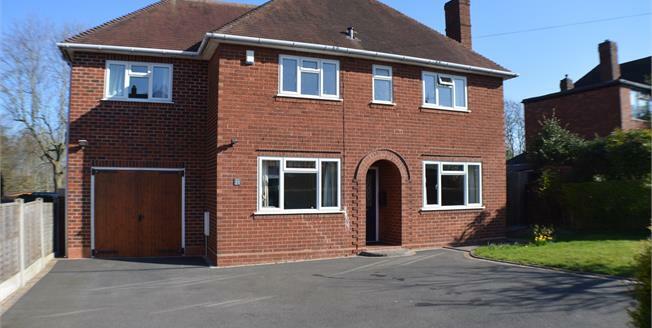 1st floor landing, 4 double bedrooms, newly re-fitted principle bathroom, large boarded attic room with loft ladder.